Looking for that perfect fried pickles recipe to use up some of those homemade dill pickles? Fried pickles recipe is a great easy comfort snack, appetizer or even meal on a low-key evening. Usually, when we make this fried pickles recipe, we’re already in our jammies, the weather outside is frightful and there’s a great movie about to start. In other words, this fried pickles recipe is definitely a comfort food for us. But it’s also a way to use up all the homemade pickles I canned from our amazing cucumber crop this past summer. And I will talk a little bit about the process other than just how to make homemade fried pickles. Growing and caring for the cucumbers, harvesting, and canning the pickles are really the first step of the process. And I feel the whole process is important to know. 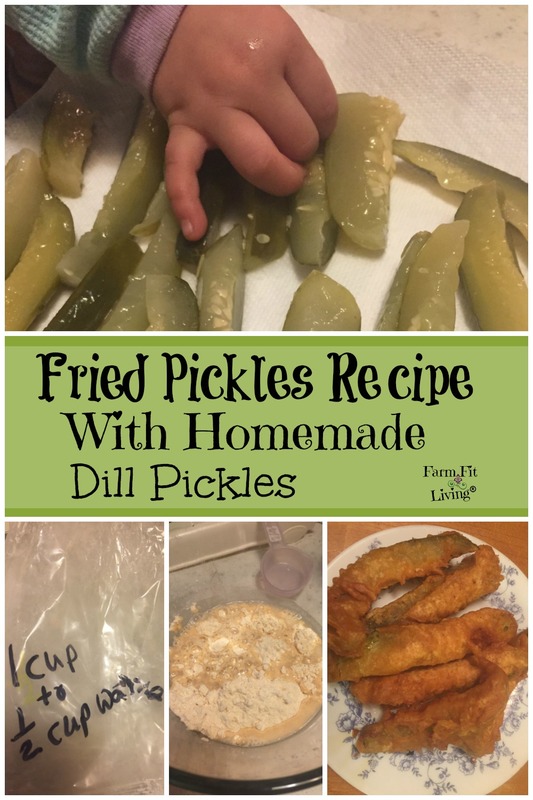 Also, since I care so much about being healthy, I will cover some healthy frying tips for you when making these homemade fried dill pickles. So, now let’s jump into the deep fried pickles recipe. Here’s what you need to start making them. Pickles (I advise to fry only however many your group will eat). Grow your own or buy them here. Other seasoning such as Lawrys, Head Country, etc. Be creative! We Love Head Country on our Steak! Click Here for the Recipe. And now, you’re ready to start making homemade fried pickles. First of all, fill your fryer about 1/4 full of oil. You only need enough oil to drown the pickles in it. Next, mix the flour and cornmeal together in a bowl with the water. It will make a nice batter to dip the pickles in. Then, test the oil. It is hot? Ready to fry? If not, keep waiting. But, if the oil is nice and hot, you’re ready to start making those fried pickles. So, just stab a pickle with a fork and dunk it into the batter. Make sure the pickle is completely covered in the batter. Finally, it’s time for the magic. Carefully place the pickles in the fryer basket and drop it into the hot oil. Let the pickles fry in the oil for about 10 minutes or until the batter is golden brown. That’s when you know they are ready to enjoy. As you’re eating your pickles with some ranch dressing, I’m going to share with you how I grew them on my farmstead. Well, you might buy them at the grocery store. I recommend this brand of pickles for frying and enjoying. But that’s not where my pickles come from. There’s only one way that we can get 53 jars of homemade dill pickles, 50 jars of spicy pickles and 20 jars of pickle relish into our storage room. We have to know how to grow a massive amount of cucumbers. But what is there to know? To be honest with you, cucumbers are so easy to grow! Let me share my best tips with you. Vertically (I’m trying vertical this year). Make sure cucumbers will have plenty of space. They are vines and will spread everywhere. Provide some weed control, such as black plastic. Weeds are difficult to control amongst the vines. Your cucumber plants must have full sun. They require warm temperatures and warm sun to grow and thrive. Form some hills in well draining soil. Simply push some seeds into the hills. Make sure seeds are completely covered. Next, make sure the cucumbers have plenty of water. Finally, cucumbers are a medium sized vegetable. This means that you should pick them at the correct size for maximum enjoyment. And that last one is a major one. It’s easy for your cucumbers to grow to a gigantic size, which means they are over mature. They lose some nutritional and taste value. So, those are the key points of growing cukes. I think you’ll find that you’ll be overflowing with them in no time. So, now what do you do with them all? Well, we enjoy cucumbers in season as salads, chips and just dipped in Ranch dressing. But, we also love pickles. I’m not going to get too much into how to can pickles. My spear recipe for the homemade dill pickles came from the Ball Blue Book of Canning, which is my go to for most of my canning recipes. I just love to grow produce and preserve them. 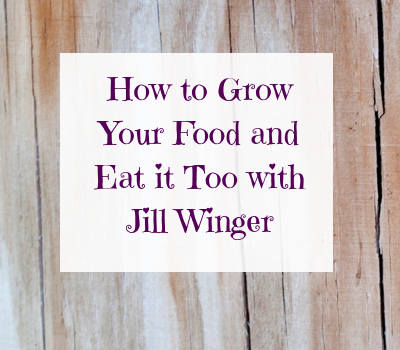 Not only is it fun for me, but it is also a great way to eat vegetables during the non-season. Plus, it’s healthy. Here are some nutrition facts about cucumbers and fried pickles. The following nutrition facts are based upon the states in myfitnesspal. Feel free to follow me and share your fitness and food. Let’s start with the basic cucumber. The one you grow in your garden to make this fried pickles recipe. The cucumber in the raw is the healthiest part of this fried pickles recipe. According to myfitnesspal, you’ll find that a raw cucumber with the skin contains vitamins and minerals, no fat and around 8 calories. Then, we have the dill pickles. One spear soaked in the juice and seasoned with dill is around 8 calories and no fat! So, no real change from the raw cucumber. What a healthy snack! Finally, the fried pickles. There’s not many extra calories added in. According to myfitnesspal, one fried pickle spear is 50 calories, 1 gram of fat and 8 grams of carbs. So, besides calories, this fried pickles recipe isn’t adding much more. Which, in my opinion, makes it the perfect comfort snack when you need one. Here are some tips to make them a little bit healthier. So frying gets a bad wrap. Everywhere you look, you’ll see jabs at deep fried recipes and foods. And while there is some truth to that, I believe that moderation is key. I’m going to be honest with you…Sometimes I just CRAVE something fried and dipped in ranch dressing. Just being real. But I don’t eat it all the time. Keep oil clean by removing crumbs. Make better breading using cornmeal or rice flour to absorb the oil. Use moderation when eating fried foods. Eat a salad or other veggie with it. Choose an oil with a high smoke point, such as Extra Virgin Olive Oil and Canola Oil. Choose a heart healthy oil such as Olive Oil, Canola Oil and Sunflower Oil. Drain cooked food on a paper towel. And there’s many more I linked to in that link above from Cooking Light. You don’t have to avoid fried foods altogether. Moderation is key for yummy treats, such as easy deep fried pickles! So, Enjoy! Then, how to make the pickles and can them for later. Nutrition facts of the fried pickles recipe. And finally how to make fried dill pickles. In conclusion, you are ready to step out and try something totally new and delicious. These homemade fried dill pickles in moderation is healthy and low-cal, so get out your jar of pickles and fry some up today! Ready to Make 2019 YOUR Year? Get these 10 steps delivered right to your inbox to print and take with you to stay on track for success. You got it! Get ready to achieve your goals and have a successful 2018. Now check your email to confirm your subscription.